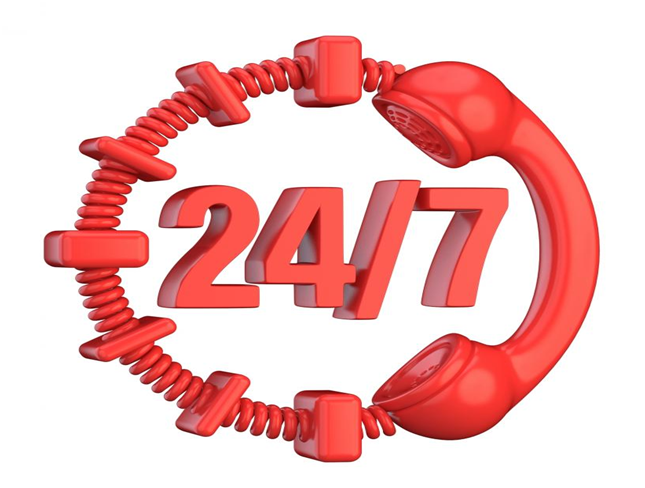 Around the clock HVAC services as and when YOU need them! Your refrigerator, furnace or air conditioner can stop working any time. Do you really want to suffer while it is being repaired? That is why at Cole Companies we offer HVAC maintenance, installation and repair services 24 hours a day and all 7 days of the week! Our technicians are sent fully equipped with parts, materials and the tools they need to tackle any issue. You can get all of that with a single phone call. Whether you need new parts for an air conditioner, need a furnace looked at or can’t figure out why the house is cold, we can help any time. When it comes to your family’s health and safety, nothing should be left to chance. The same is the case with your employees who deserve a comfortable work environment. Our goal is to ensure that both can live and work comfortably in temperature controlled environments. Once they arrive, our technicians will ensure that your heating and cooling units are working correctly before leaving. This will be done as soon as possible and if you want, we can replace units as well. At times that is a feasible option when units cost more to repair than replace. Call us anytime and we will examine your system before recommending replacements. Your comfort is our priority so you can rest assured your systems are in good hands. This includes keeping you in the loop regarding potential repairs and services. So you will be aware of the costs, duration and the technicalities involved in each step. We are well aware of new technologies in the HVAC industry but we also understand older models and systems. In other words, if you have a traditional unit, our technicians can fix it. Your satisfaction is very important to us so you can be certain we will deliver on our promise. So if you live in one of the following locations in Massachusetts, and need HVAC services, Cole Companies will not disappoint. Cole Companies is a Heating, ventilation and air conditioning professional services for you.